My wife and I have tried a couple times to sous vide salmon fillets and they seem to keep coming out undercooked or raw in the center and I'm really not sure why. I took pretty good notes on what we did tonight and I'm hoping someone can find the flaw in my strategy. We purchased 1 lbs. of salmon fillet from Trader Joe's. At home, we pulled it out of the refrigerator and cut the skin off of the salmon and cut it into two separate fillets. I have a FoodSaver vacuum-sealer that I used to vacuum seal the two salmon fillets into a single bag. The salmon fillets were vacuum-sealed in the same bag, but were not touching on another (they were about 3 inches apart). Once the sous vide was up to temperature at 126 degrees Farenheit, I dropped the vacuum-sealed-bag with the two salmon fillets into the pot and started a timer. To be on the safe side, I left the salmon in the pot with the temperature at 126 Farenheit for one hour. When I took the salmon out of the pot and opened the vacuum-sealed bag, it seemed like it was colder than I would expect. Upon cutting into the salmon, I noticed that it was still raw in the center. After I noticed the salmon was raw, I put a thermometer in the pot and verified that the temperature was 126 degrees Farenheit, so I think the sous vide is working properly. From what I've read online, cooking for 1 hour at 126F should be more than enough. Likewise I read that vacuum-sealing fish tends to end up with overcooked fish rather than undercooked so I didn't think that was the issue. Where did I go wrong here? Any suggestions would be greatly appreciated! Thank you! But there is no reason that the set-up you have shouldn't make great salmon. 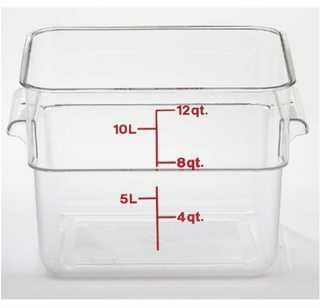 I have exactly that set-up (including the stock-pot for now, but the square polypolycarbonate container is on order). 125F for one hour is pretty close to bare minimum time and temperature for salmon fillet. I like it that way, but it appears that you have a different expectation than I do. I base that guideline on the recipe from Modernist Cooking Made Easy: Sous Vide: The Authoritative Guide to Low Temperature Precision Cooking and having just enjoyed salmon done at 122F for 1 hour. First, double check your water temperature just to be sure. If you have a sous-vide circulator and a vacuum sealer, I don't want to hear that you don't have a digital, instant read thermometer. 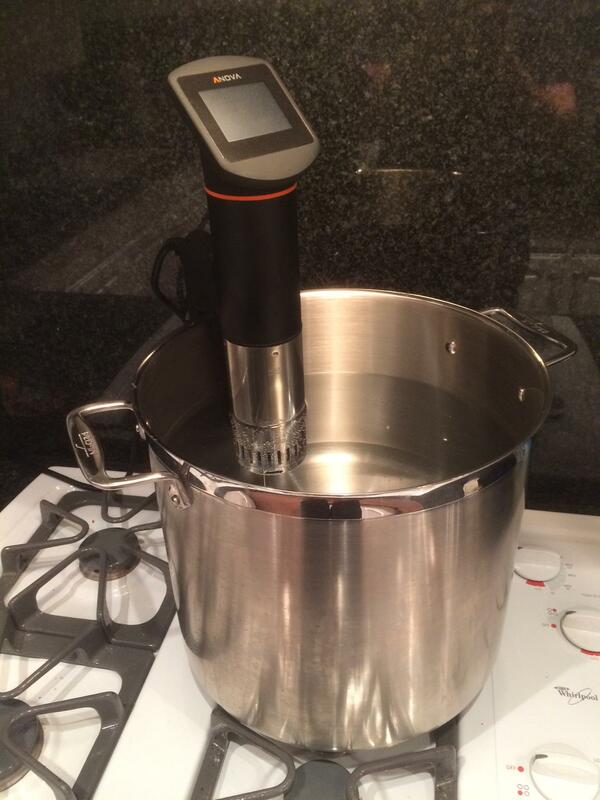 Double check that your Anova circulator is producing the temperature for which it is set. If the temperature is how you've set it, that means that you don't like your salmon that rare. Simple as that. 140F for 1.5 hours is pretty much the upper limit for a typical salmon filet to not be overcooked. That would be overcooked for me, but I have a preference for rare. Assuming that your circulator isn't defective, you will almost certainly like salmon somewhere on that spectrum. Exactly where you like it best, only you can say. Pretty sure you didn't cook it long enough. The thickness of a salmon fillet, at a guess (I don't have one on me to measure) is about 40mm. I cooked one salmon and one halibut filet (1/2 - 3/4" thick, 8 oz each) in this exact same setup -- Anova + stockpot -- last week, at 130 degrees and 30 minutes. It was perfectly cooked. You said you purchased the fillets at Trader Joe's. TJs sells the fillets frozen. My guess is that the salmon wasn't fully defrosted before you put it in the water bath. Given that the salmon started out partly frozen, it would take longer to cook. Recently America's Test Kitchen conducted a survey of salmon consumers in which they found that the prefered cooking temperature of wild salmon was 120 degrees F and of farmed salmon was 125 degrees F. I sous vide my farmed salmon at the ATK recommended temp for 40 minutes after which I allow it to rest for ten or 15 minutes. The results are remarkable: the fish is not overcooked and flakes rather easily, some would describe it as "unctuous" (sic). I do use Ziplock bags, either opened or sealed; it made no difference as to the results(In either case, water displaces the air in the bags.). If purchasing salmon fillets, avoid the tail and the head section but do go for the middle where the belly is minimal and/or well trimmed. The problem with the other cuts are two fold: 1) the ratio of skin to flesh can be rather low(Why pay for waste? ); 2) the difference thickness in a single fillet can results in an unevenly cooked piece of salmon. Generally, the belly section alone should be cooked at the recommended temperature but for 30 minutes and then allowed to rest. Yes, I am recommending that you trim your salmon to produce a relatively uniform fillet. This does reduce the chance of uneven results. Not the answer you're looking for? Browse other questions tagged fish sous-vide salmon or ask your own question. Sous vide whole salmon at what temperature?